GET ON THE ORDER LIST BY MAY 21ST TO RECEIVE YOUR TANK TIME FOR FATHER'S DAY! A black, BAW marathon tank with screen printed text and WCR logo. To order, please add yourself to the list by Monday, May 21st and receive by June 12th. 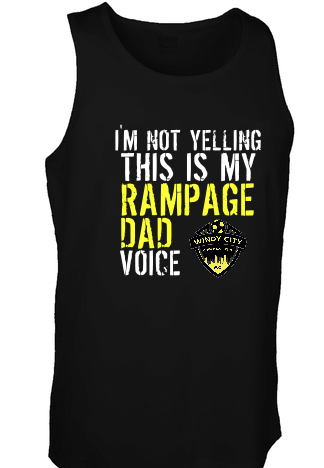 WC Rampage FC is hosting a Dads VS Players game on Saturday, June 16th from 11-2pm at the All Saints field! A few parent volunteers are needed to bring refreshments such as waters and small snacks such as fruit, etc. Please fill out the form below if you can join us for a few hours of Father's Day FUN!